Among many things, Chicago is specifically known for being a culinary capital with some of the best restaurants in the country. My favorite restaurant genre is brunch; what’s more tempting than a tall glass of orange juice with friends on the weekend? 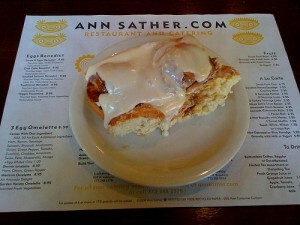 Not to play favorites… but Ann Sather is pretty great. The cinnamon rolls that will forever ruin any diet I ever try are located at 3415 North Broadway, 1147 West Granville, and 909 West Belmont. The best part is that their recipes are no secret and are downloadable online so you can bring the goodness to your own kitchen too! They don’t have outdoor seating and attract quite the crowd but the wait is never long and always worth it. My personal trick is to go with a friend and get the eggs with bacon, which is about $8.50 and comes with two sides. Be sure to order the biscuits, cinnamon rolls, hash browns, and fruit as your sides and share all of them and you’re set!! If it gets to be too much food, no worries; the cinnamon rolls heat up in the microwave beautifully the next day. 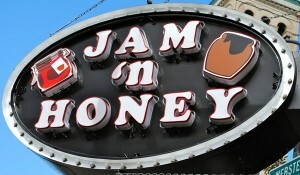 My first time ever in Chicago I passed Jam ‘n Honey on a Saturday and noticed they had giant tubs of Nutella on every table… I was sold. They only take cash so come prepared, but they have an ATM in the back for those of us who often forget. If you’re in a waffle mood, the favorite is the Banana and Nutella pancakes. Though there is often a short wait on the weekends, Jam ‘n Honey offers outdoor seating that faces the beautiful St. Vincent DePaul Church and is well worth any wait. The eggs benedict is good, the hash browns are great, and the service is different than anywhere else but fantastic. Sarks in the Park offers a great Chicago-esque atmosphere featuring fun maps and jazz artwork. Located at 444 West Fullerton, they are a quick walk to the beach or a fast drive from downtown. 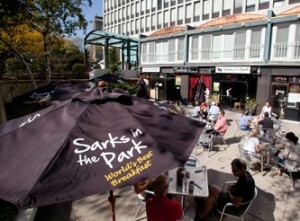 My personal favorite part about Sarks in the Park is the outdoor seating. Though it’s on Fullerton, being a few steps below street level makes the atmosphere feel a little quainter. The time I visited, the service was good but different than anywhere else I’ve ever been. There were a handful of very attentive young adults walking around but we never had a distinct host or waiter. Instead, we had a few people come up to all make sure we were taken care of throughout the dining experience. 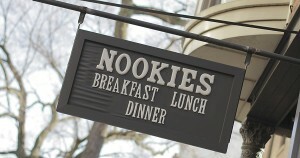 Nookies is another breakfast/brunch place that has the quaint atmosphere mastered. Everyone is friendly and they always seem to attract the bigger groups or crowds. It is a smaller restaurant, but they are quick so the wait never seems to be too long. Nookies is great for someone dining on a budget because while they have some nicer things on the menu, it is also very easy to find an affordable dish and still even get a coffee, orange juice, or soda. They have a few locations throughout the city and most are BYOB so you can enjoy a mimosa with your brunch. For my southern friends, Nookies is one of the few brunch places in the city that serves grits… cheddar grits nonetheless. Enjoy! 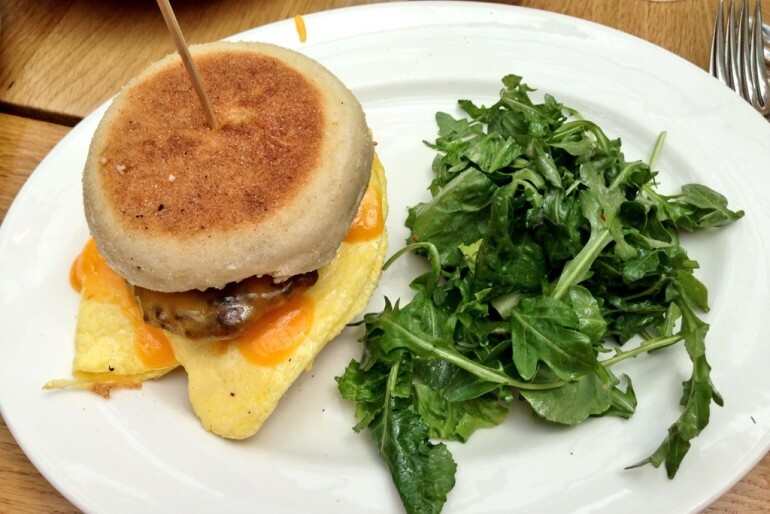 Where are your favorite brunch spots in the city? Comment below!